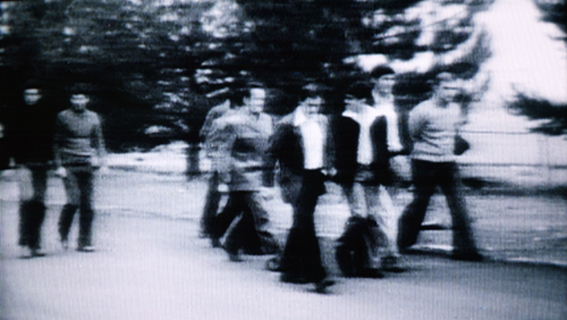 A five seconds long b/w film sequence from 1977 is transformed into an extremely slow moving still image of eight minutes. Nine men, members of the German anti terror squad GSG 9, cross the picture from left to right during this time. The sequence was digitally produced by interpolating 11.000 artificial images between the 120 original film frames.